Ok well first of all I’ll explain the changed post title. Originally the “Minecraft Adventures of JD” post was supposed to be purely about what I do in Minecraft while playing singleplayer, specifically I started a map intentionally to do that. 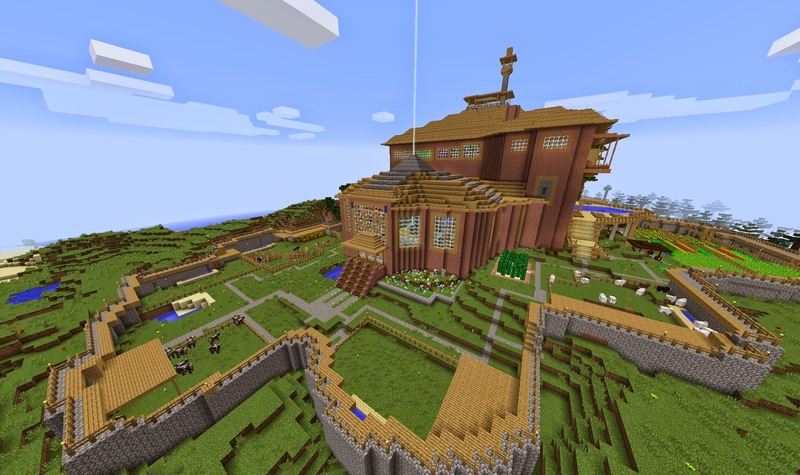 Though unfortunately like always I started plans for a house and it turned into this monstrosity, I even got rid of all my old items so basically even if I did decide to continue on my quest the world would be totally out of date being created in 2012 and all. 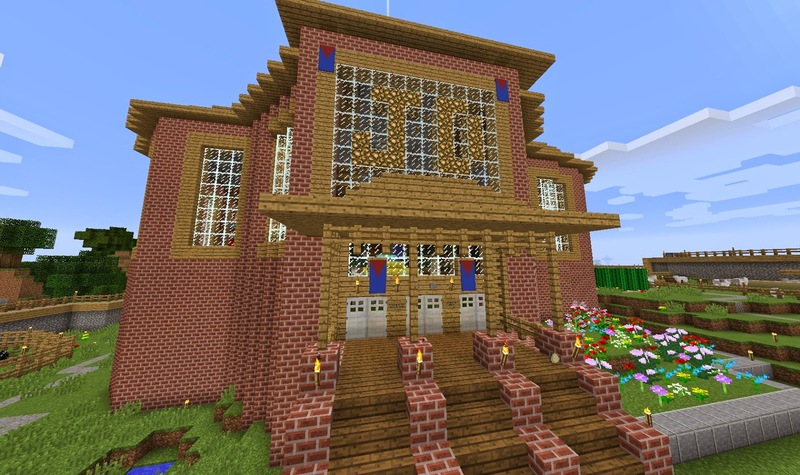 So I’ve decided to create a Minecraft Creations post title specifically for the Brick Mansion which may not go on for too much longer, but just to break it up from the regular Minecraft creations so I know where everything is and as a testament to it if I am ever satisfied that it is fully finished. One of the most prevalent changes is that you can now change your Minecraft username, obviously they are going to work on some sort of unique identifier to stop bad people from changing their name and causing havoc. Also difficulty is now per world not global so you can finally have one or the other when you’re switching worlds. There’s also new skin customisation, I think you can wear jackets now too. There is also a new Spectator game mode allowing you to actually noclip around the level and look through other players eyes. There has been a cascade of new blocks inc Granite, Andesite and Diorite which generate in pockets within stone terrain apparently slightly larger size and more in abundance then gravel. There are new Ocean monuments which are generated underwater in Ocean Biomes with all new blocks inc Prismarine, Prismarine Bricks, Dark Prismarine and Sea Lanterns, where you can find Guardians and Elder Guardians in the center which apparently has 8 gold blocks. World spawning is now much more customisable which will be fun to mess around with different settings. In addition to the new blocks I’ve mentioned before you can also get polished, Diorite Andesite and Granite and also Red Sandstone. 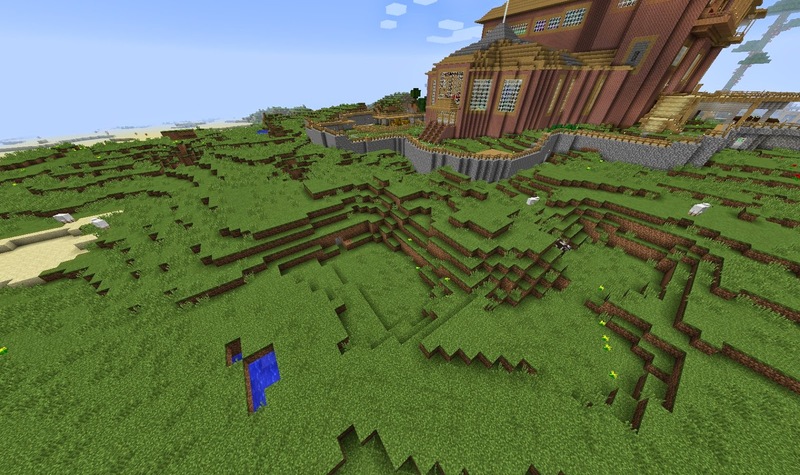 There is also a new type of dirt called Coarse Dirt which is a mixture of dirt and gravel where grass does not grow, but can be made back into normal dirt too. In ocean monuments Guardians and Elder Guardians drop Prismarine Crystals and Prismarine Shards which are used to make Sea Lanterns, and also Wet Sponges. You can also now make Slime Blocks and bounce on them like a trampoline. A simple example of a slime block trampoline made with pistons. And finally, Fences, Fence Gates, Doors, Slabs and Stairs now appear different depending on what type of wood you used to make them, most just change colour (appropriately) but the new doors look awesome with the dark oak door looking like something out of a formal victorian household and the Jungle door looking very hobbity with sort of mushroom shaped holes, the Acacia door is almost not there at all. An interesting new addition is Banners which can be adorned with many different colours and patterns and man can you do a lot of combinations, ‘decorating’ is done by adding dyes to a blank or coloured banner, and then adding more to the current banner to decorate it more resulting in “Over a quadrillion possible combinations” apparently. An Armor Stand can now be made allowing you to finally place that armor away when it’s safe and view your beautiful skin texture. Armor stands with various armor pieces. Many new Mobs are now in including Endermites which are sometimes spawned by Endermen teleporting away which basically act like silverfish but the funny thing is Endermen hate them too. Guardians and the boss Elder Guardians as I’ve mentioned before ‘guard’ the Ocean Monuments. Rabbits are here! (including a very scary one which you may remember from a certain Monty Python movie) they can be killed for a variety of things including rabbit hide, raw rabbit, cooked rabbit and rabbit's foot and can be guided or bred using carrots, golden carrots or dandelions and are also used to create Potions of Leaping where you can jump super high. There’s also a new “Depth Strider” boot enchantment which allows the player to move faster in water and is probably specifically for exploring ocean monuments. There is now Iron Trapdoors and you can colour beacons with coloured glass. 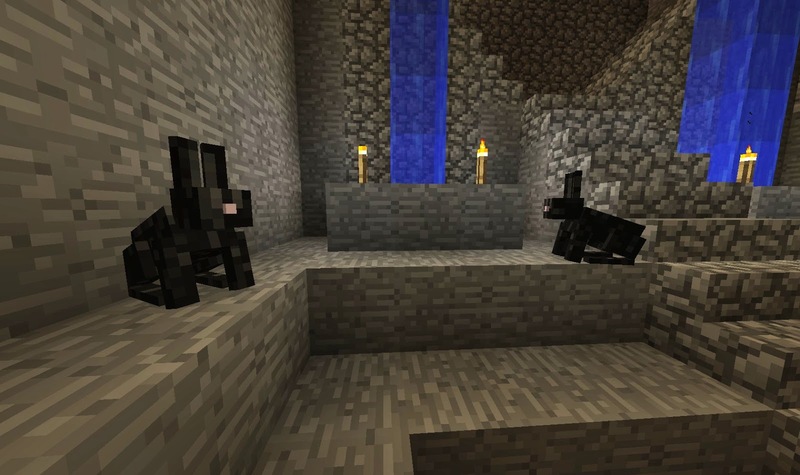 Two Rabbits I caught while adventuring in a Mega Taiga Biome at the Bluewire Lan, unfortunately didn't have amy more carrots to make them breed. With my magnificent house pretty much finished I spent quite a bit of time pondering what to do with the outside, at first I thought of gardens and whatnot but then I thought there was enough gardens inside (which is kind of strange I know) and if this house is going to be self sufficient it’s going to need some farms, or a farm, a big farm. 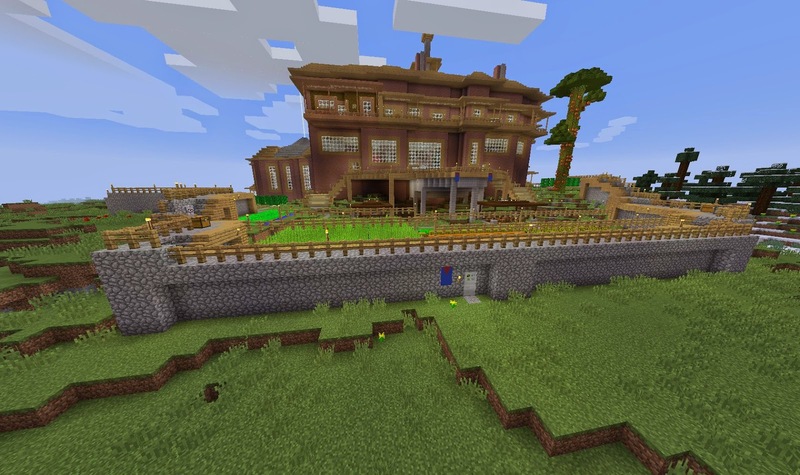 Though the first thing I had to do was extend the wall around the east side of the house, it took a bit of trial and error but I got it done, instead of the usual cobblestone wall I had before, I put an overhang of I cobblestone block at the top as well the wooden plank walkway so there was essential a two space walkway instead of 1, it looked quite good when finished especially with the stone stairs mixed with the wood. Because of the extra weight I added some support at various intervals of the wall which also looked pretty cool, I might take this moment to remind everyone that this wall is meant to stop monsters getting in not people hence the simplicity. 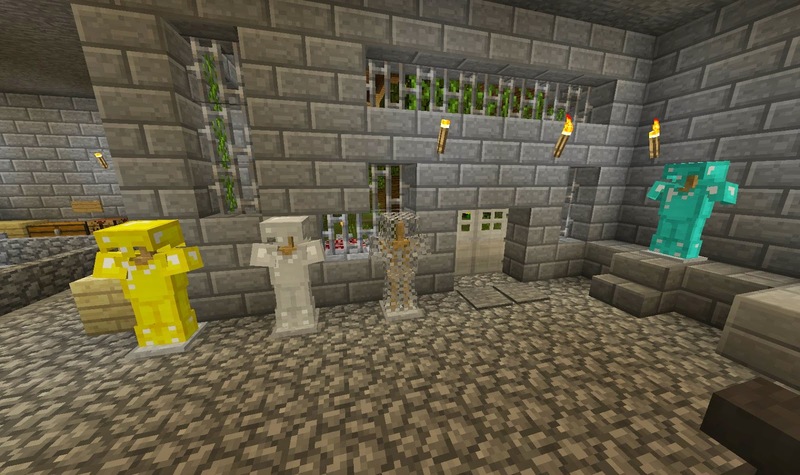 4 block high wall, keeps monsters out and doesn't make the house feel like a fortress. 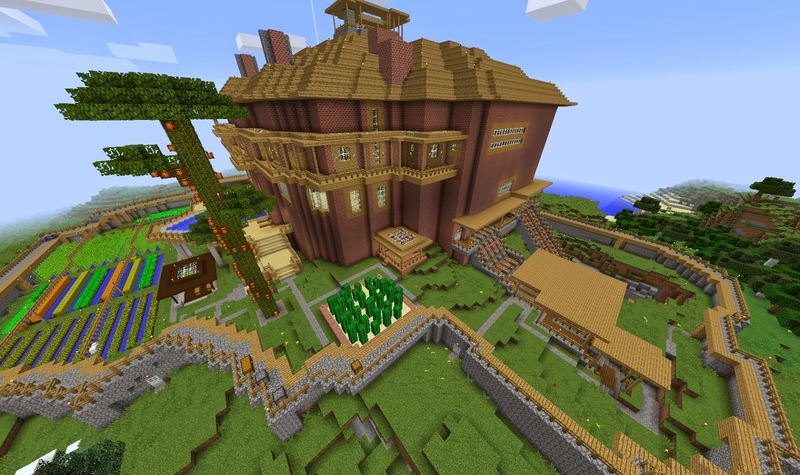 Now it was time for farming, I had to look up all the things you farm to make sure I had everything but it turned out ok, I think I got an equal amount of melons, pumpkins, carrots and potatoes, and lots of wheat and possibly a bit too much sugar cane but anyway. I made sure the place had enough light for during the night by placing long rows of fences with torches on top of them. Speaking about the design I’m a fan of having water right next to crops in single block rows, I now know that a single block of water can hydrate crops 4 blocks way but I like the way I’ve done it cause it’s kinda nice looking but may change it in the future. Taking advantage of the new 1.8 changes I created a well out off the small patch of water near the crops that goes right down to bedrock and used dark oak slabs and fence poles as decoration as well, I also made a rope out of acacia wooden poles as it was a nice orange colour, I also made a small rotunda with chests underneath as a sort of storage pavillion for gathered crops for transport to the main storage centre. 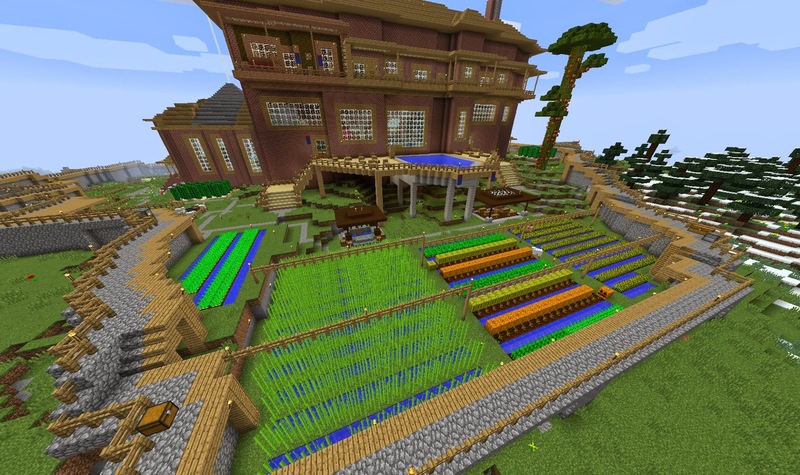 The crop farm, well and storage pavillion. I then thought I’d need some livestock so I fenced off a few sections of the front gardens creating pens for pigs, cows, horses and chickens, complete with water troughs and shelter from the rain or sun. 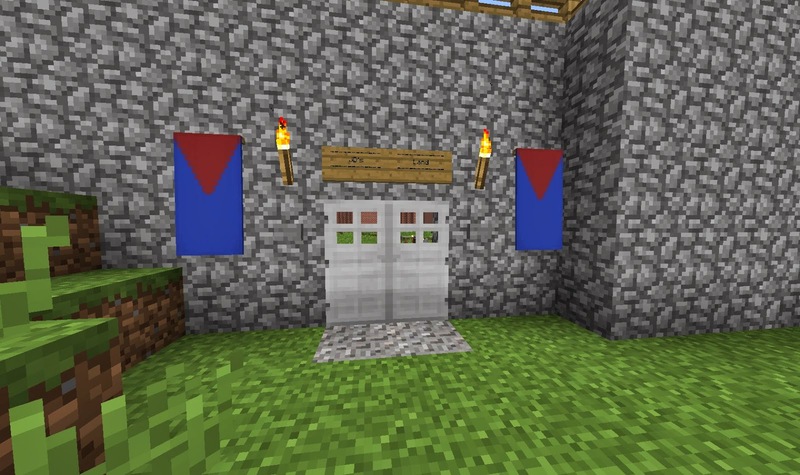 Now that I had the area around the house planned out I had to change the location of the iron door entrances, I also made the main entry into my “land” with a twin double door. 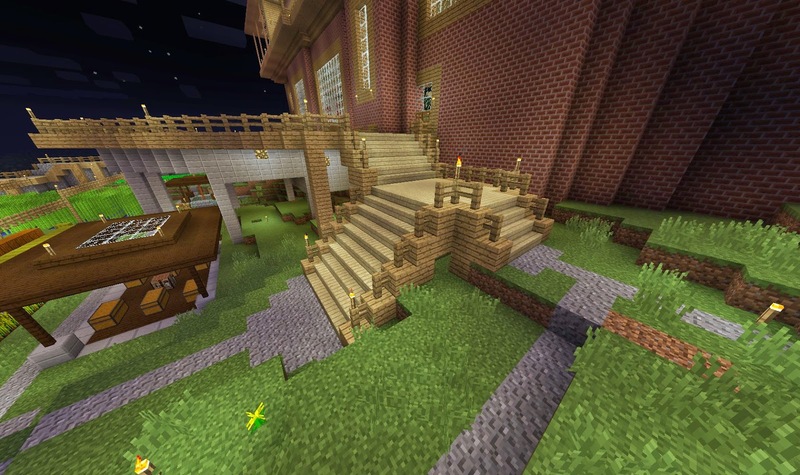 I also made two new staircases coming down from the pool deck as it was obviously now safe to come down and also serve as a main entry and exit point to the east side of the house. 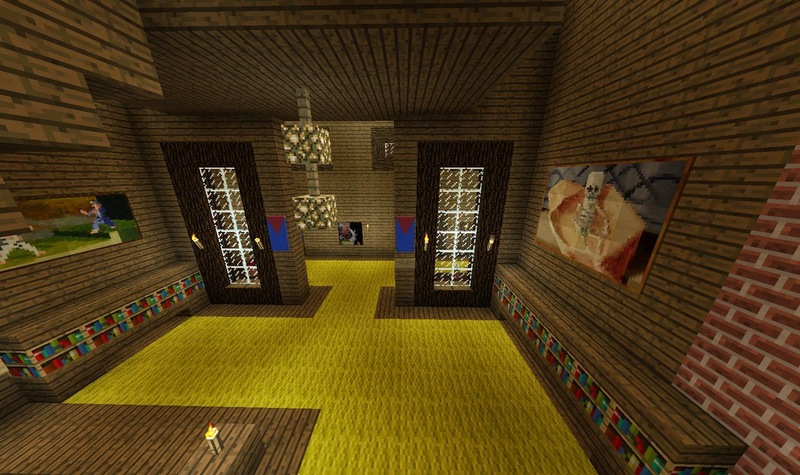 I then decided to update the inside of the house as per the 1.8 changes and the first thing I thought of doing was taking advantage of the new Prismarine blocks for the indoor pool, this basically meant replacing the entire wall of the pool with prismarine bricks, the floor with dark prismarine and adding lots of sea lanterns to brighten up the pool area. 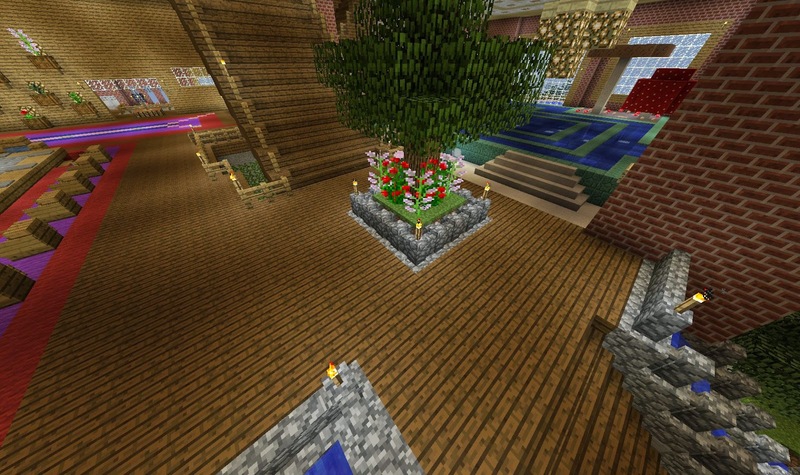 I then updated most of the flowers and plants in the house, which was quite a few I even added some bigger flowers here and there. 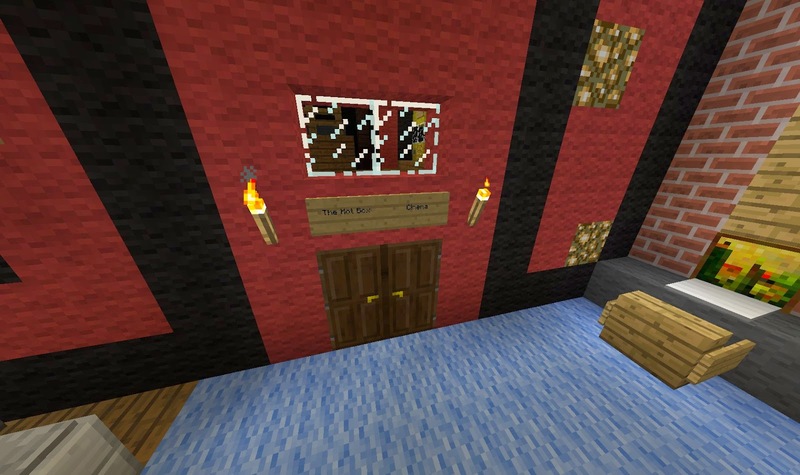 I updated all the doors depending on what kind of wood they were near, the dark oak doors worked well as formal doors for the cinema I also changed my bedroom’s personal balcony to be entirely made of jungle wood since I can now do that. I also added some armor stands with armor to the armory lol no it was actually the forge. Dang those dark wood doors are fancy. I also realised I had forgotten about the cacti and cocoa beans so made two smalls farm around the northeast and southeast corner and grew a huge jungle tree and covered with cocoa plants which don’t really know if that’s how it’s supposed to work but meh their growing. I finished off the outside with gravel paths leading everywhere starting from the entrance to the house, and added some rows of tulips near the entrance so I could tiptoe through them. One of my Cacti farms, my Coca bean tree and the many gravel paths going around. While looking around the house I realised that my secret way into the undercroft of the house through the pond near the entrance probably needed a way into the house, so I dug a hole which came up through the water in the centre pyramid of the lobby which was pretty fun. 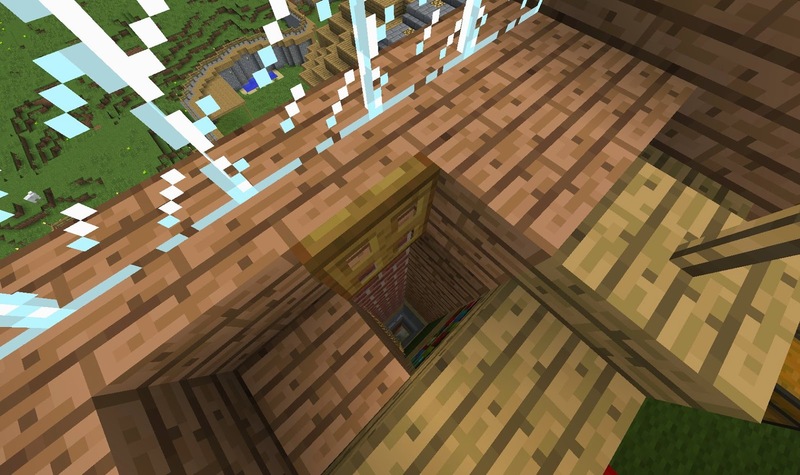 I made a secret exit from my room which involved making a long ladder all the way down from my room through the sauna pipe into the undercroft of the house then into a specially made tunnel with minecart track which led to a shaft up to the surface and an exit hidden by dirt just outside the walls. 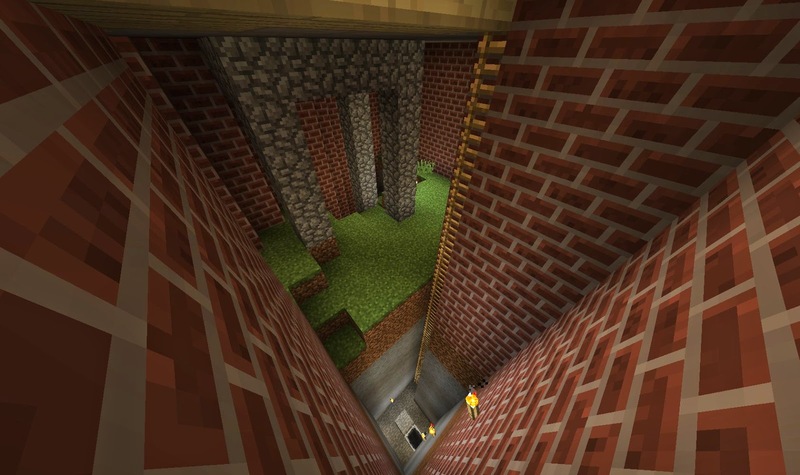 I might add another secret passageway that goes from down in the mines all the way to the NPC village in the future. One of the last things I did was make use of the new banners, with over a quadrillion different designs I’m sure I could make something good, though unfortunately I couldn’t think of anything unless I found some way of putting the letters “JD” on there, so I just went with a blue background and red upper “chevron” (it’s interesting to see the actual names of these banner/flag designs). So in case you didn’t know that’s the Melbourne Football Club jersey design, I’d hate to resort to football but that’s all I could think of. SO I placed these banners everywhere it seemed appropriate inside and out of the house. I also decided that the space to the right of the entrance need a bit of a sprucing up so I made a flower bed thing but I may actually try to change it to a different colour grass or maybe just no grass I dunno it just looks a bit weird with the same grass around where it obviously doesn’t inside the house as the floor is either wood or carpet. Proudly Displaying my Banner both inside and outside the house. So the house is relatively finished, never thought I’d say that heh, sure the outside is a bit crude and could do with some prettying up (especially the west side) but I can decide when to do that at some other point but for now I can bask in the knowledge that my biggest house ever is finally finished, and what an experience it’s been, I remember first starting out in June 2012 and thinking that “this is gonna take awhile” though I have been building it on and off. The sad part is I’m kinda alone here, but I don’t mind, and of course I can always open it up to Lan (While at a Lan!) and invite some homies, after having backed up of course. Ahh bliss, nothing like a job well done, time to finally sit back and enjoy, if there wasn't so much damn maintenance to be done. So that’s that for this topic for now, I’ll see if I ever add to it again but basically it will always be here as a milestone topic. A flythrough (or around really) of the outside of the house.